We’ve picked out some of the best photographs around which will make you want to book your flights, pack your bags and set off to discover some of Bali’s hidden treasures for yourself. 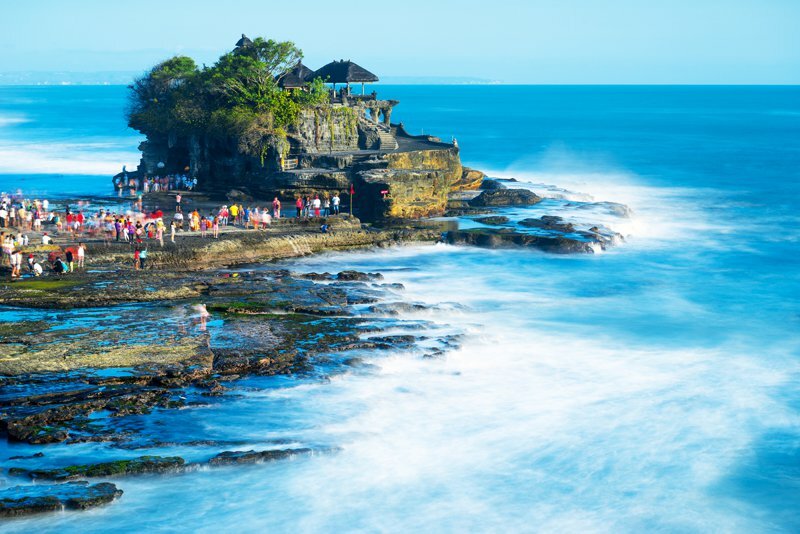 Tanah Lot pilgrimage temple sits on a large rock accessible only when the tide is out and is seen to be a holy place to worship the sea gods. It is believed that venomous sea snakes guard the temple from evil spirits and intruders at the base of the rocky island. North of Ubud is the amazing scenes of the rice paddies and local workers planting rice. 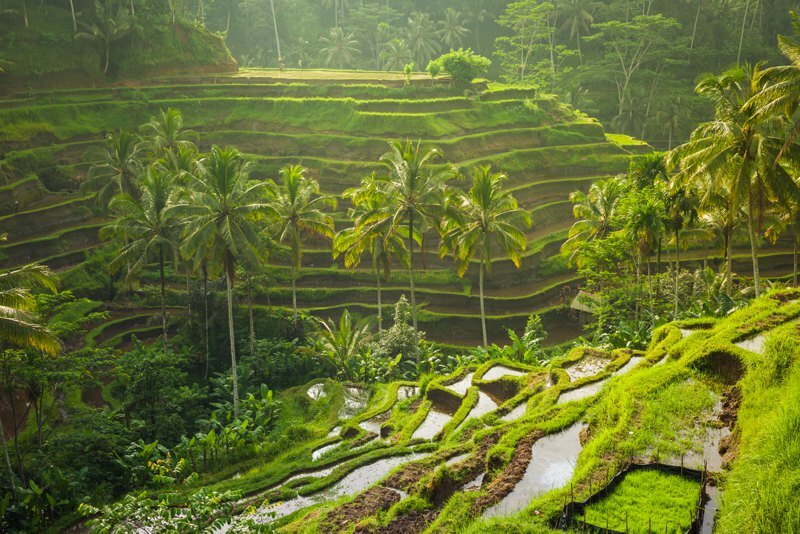 You’ll be mesmerised by the emerald green shapes and patterns merging with the Bali jungle - it is one of the popular things to do in Bali when visiting! 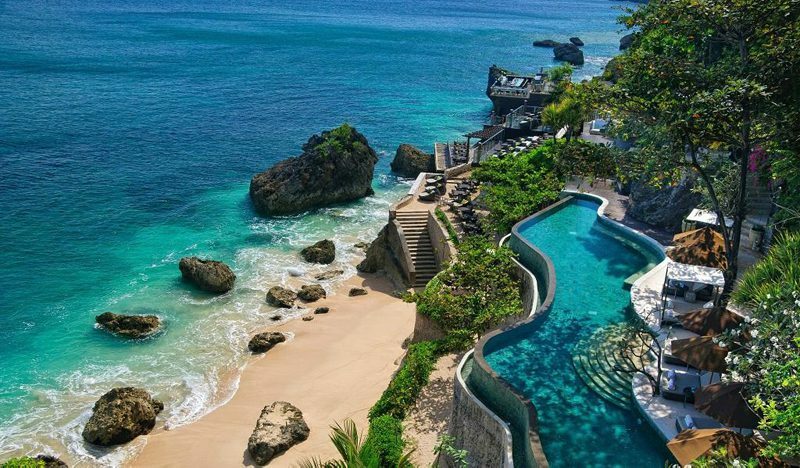 Just an example of one of the many luxury resorts in Bali is the Ayana Resort and Spa. Infinity pools, world-class cocktail bars and breath-taking views of the coastline…what more could you want? 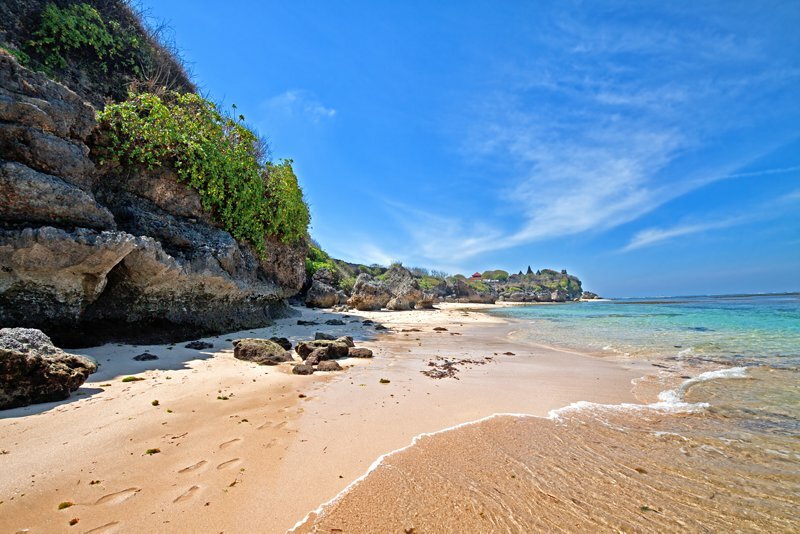 You’re literally spoilt for choice with Bali beaches, but Nusa Dua is known as one of the best beaches in Bali. Visitors love the long white sandy beach and perfect swimming conditions. Just don’t forget your sun cream! Whether you watch the sunset from the islands coast or mainland Bali – the gorgeous orange and pink skies are the perfect end to your day. 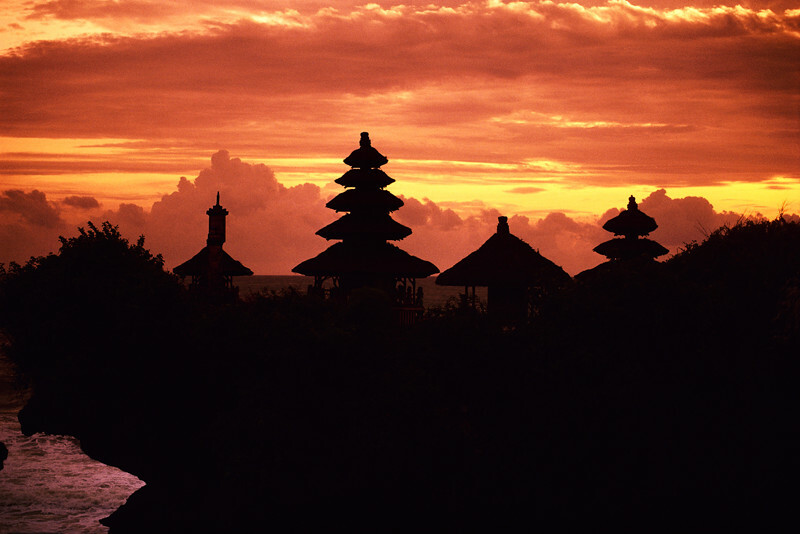 Bali is famous for some of the best sunsets in the world so you really need to see them for yourself! 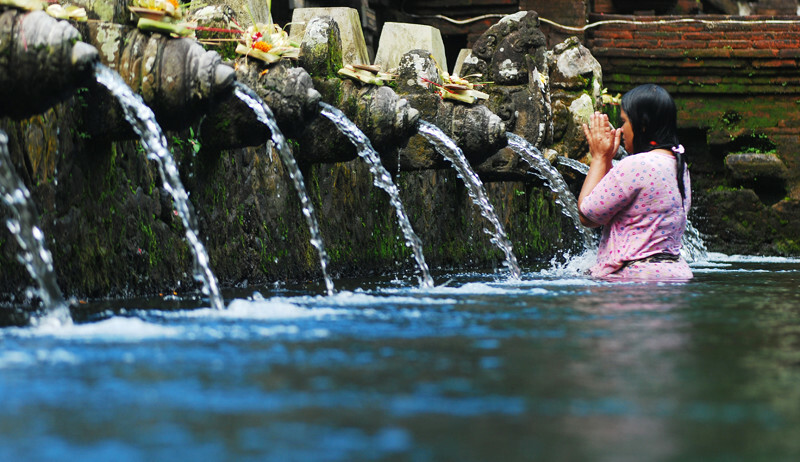 The holy spring water in this temple is believed to wash away all the bad influences in the body and purify your soul and mind. Please form an orderly queue! 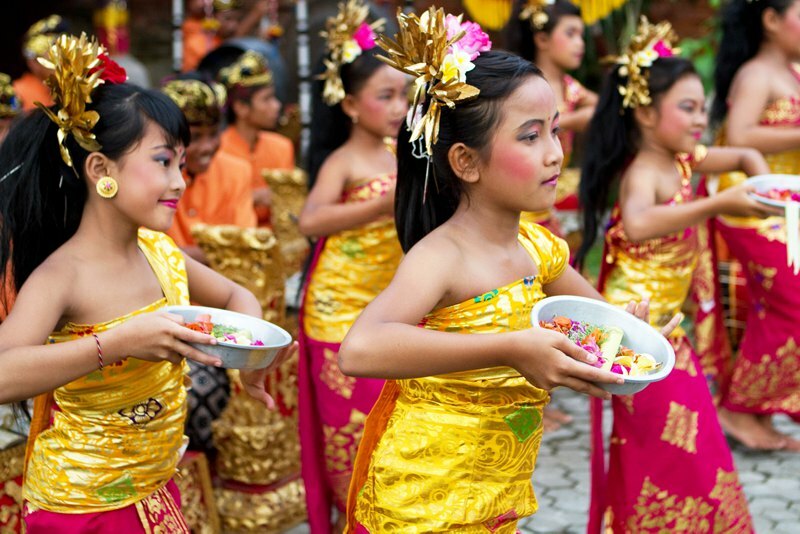 From traditional Balinese art to dances of Bali – the island is full of rich and vibrant arts. 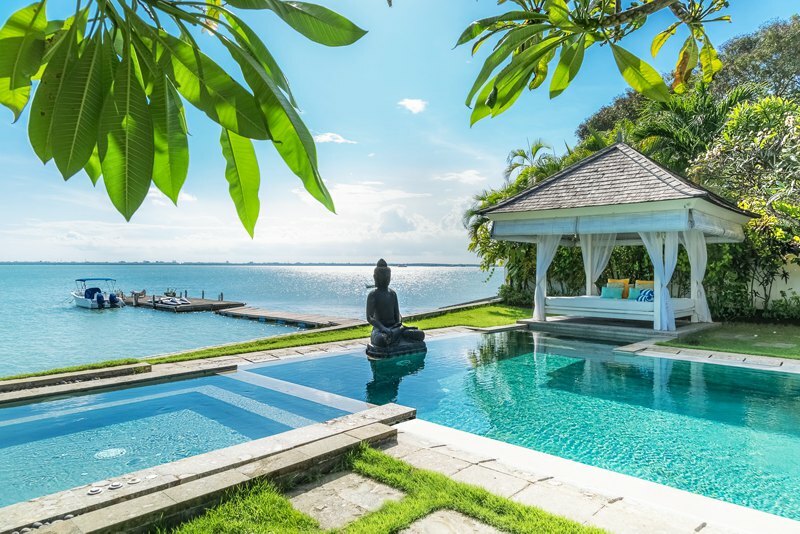 Bali has an amazing selection of private villas to rent with incredible views along the coastline – we can’t think of anywhere more relaxing and tranquil to stay! A holiday to Bali is full of fun, culture and heaps of natural beauty. If these photos have inspired an adventure to South East Asia, search our villas now!